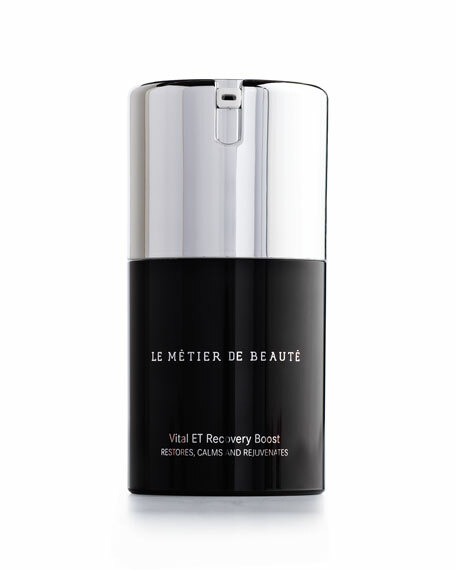 Le Metier de Beaute Vital ET Recovery Boost  Face, 1 oz. 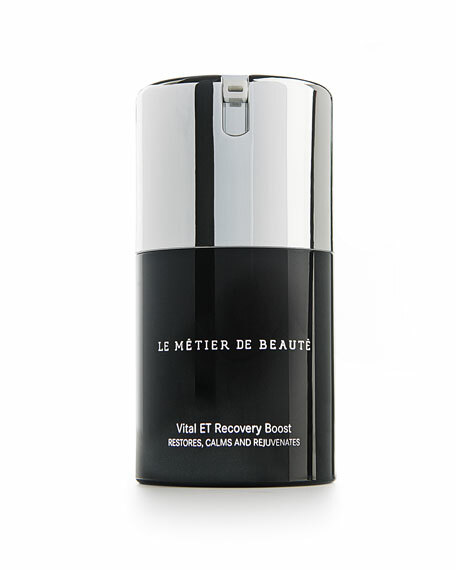 Le Metier de BeauteVital ET Recovery Boost  Face, 1 oz. "This is always in my travel bag and if I am in the sun too long, this is my go-to! 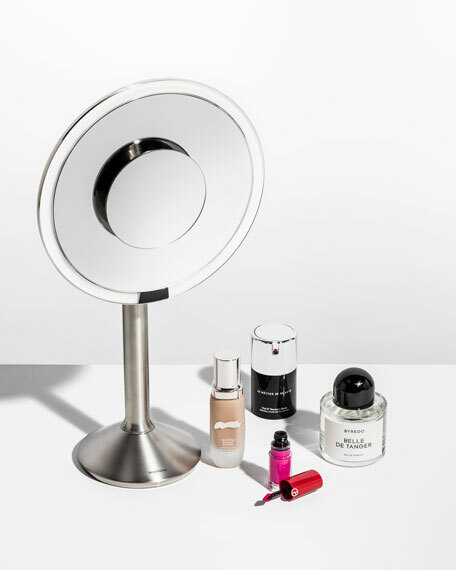 My skin is left radiant and hydrated." 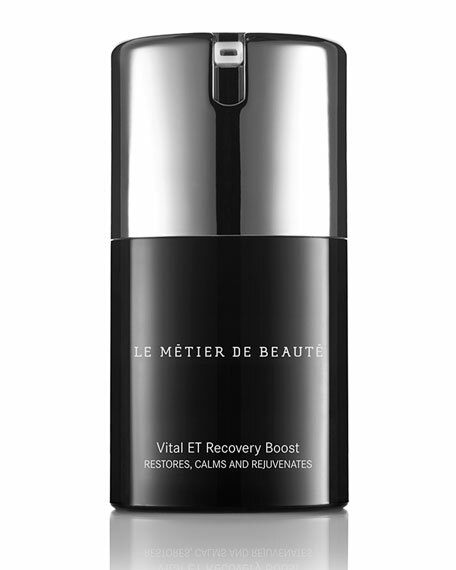 Discover the healing powers of Vital ET Recovery Boost  Face. This highly effective form of Vitamin E defends against free radicals. Free radicals are known to damage collagen, create dryness and lead to the development of fine lines and wrinkles. This deeply reparative formula drives super antioxidants and powerful vitamins directly into your skin. Leaves your skin looking energetic, rejuvenated and youthful. Apply to clean skin in the morning and or evening. Gently massage Vital ET Recovery Boost  Face around and under the entire face. For extra hydration and SPF protection, pair Vital ET Recovery Boost  Face with Replenishing Daily Solution. For in-store inquiries, use sku #1743461.